The business world talks a lot about competition, and not enough about commerce. I mean commerce in the “old” sense of the word—like a century or so “old,” when it was pretty much synonymous with business. Commerce, the way I’m using it, is about the interaction between producers and consumers, buyers and sellers. It’s as old as bartering at the bazaar. Commerce, not competition, is what Adam Smith had in mind in his Invisible Hand metaphor. This interaction has been coopted in recent decades by a focus on competition. Every commercial interaction has been re-cast in terms of competition. All aspects of business—selling, recruiting, design—get discussed in terms of how they can most profitably contribute to sustainable corporate competitive advantage. That miscasting has been particularly insidious in sales, where the “us-them” mentality has gotten enshrined. Most of what is written about selling is aimed at getting them to buy from us, while studiously avoiding saying it’s so. At it’s best, this approach says the best way for us to get what we want is to help them get what they want. True—but not a full picture. Along comes Jeff Thull to bring us back to the future—a truly commerce-based way of viewing selling. Jeff heads PrimeResources, and is author of three books, including Exceptional Selling. Tom Peters says, “I am a Jeff Thull fan.” So am I. Briefly, here’s why. Era 2: finding out what the buyer wants, so we can give it to them. Jeff includes in Era 2 pretty much all the big current programs: SPIN, consultative selling, et al. So what’s wrong with Era 2? What’s wrong is that solutions these days are complex; so are the environments they go into. The dirty little truth is—the buyer these days honestly doesn’t know what his needs truly are. That’s Era 3. A doctor wouldn’t let you self-diagnose heart arrhythmias; but Era 2 selling does just that, by presuming the customer knows his own needs. He doesn’t. Not anymore. Nor does the salesperson know the customer’s environment. Neither can succeed without the other. Era 3 recognizes this. This was always true—but it’s way more true now. The level of interdependency in the business world is way higher than it was just ten years ago. That’s the new reality. I call Thull’s approach "back to the future," because that’s what commerce used to be about—an interaction between parties who can be of use to each other. The right approach for sales in the future is not based on getting the sale, or on achieving sustainable competitive advantage for the selling company. It’s about tearing down the boundaries between organizations, collaboratively helping each other to figure out the best thing to do for both. It requires customer focus for the customer’s sake; collaboration; a focus on the relationship instead of the transaction; and on transparency. 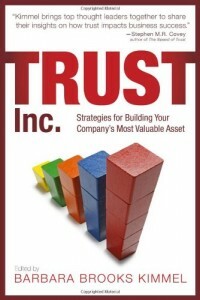 Those happen to be the Four Trust Principles I talk about in my own book Trust-based Selling. Coincidence? Hardly; we’re both talking about how commerce is done in a relational world. 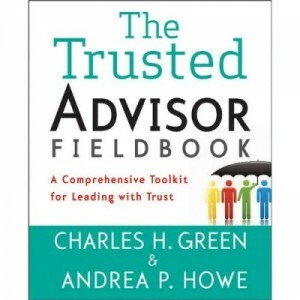 Selling is about relationships—again.